Georgia M. Keene, age 87, of Graysville, formerly of Poland, passed away peacefully on Monday, November 5, 2018, at Terre Haute Regional Hospital. She was born in Burnside, Kentucky on November 19, 1930, the daughter of Hobert & Julie Myrtle (Johnson) Strunk. At age 16, she married her husband Clyde Keene and moved to Chicago. They moved to Poland, Indiana once Clyde was honorably discharged from the U.S. Army, and they raised their eight children in the area. Georgia's loves of her life was her family, gardening, and reading Nicholas Sparks books and various illustrative books on gardening and cooking. Survivors include her six sons, Stephen Keene of Rupert, Idaho, Michael (Lynne) Keene of Graysville, Jeffrey Keene of Poland, Gregory Keene of Riley, John Keene of Poland, and James (Christy) Keene of Knightsville, two daughters, Linda Keene and Lisa Keene, both of Solsberry, three brothers, Robert Strunk, Tony Strunk, Jerry Strunk, five sisters, Katie Farmer, Colleen Jaynes, Patsy Dayhuff, Carolyn Todd, and Regina Kinser, twelve grandchildren, Brian, Jennifer, Joshua, Stephanie, Shannen, Cody, Jeffrey, Alisha, Ashley, Ryan, and Corbin, fourteen great-grandchildren, and several nieces and nephews. 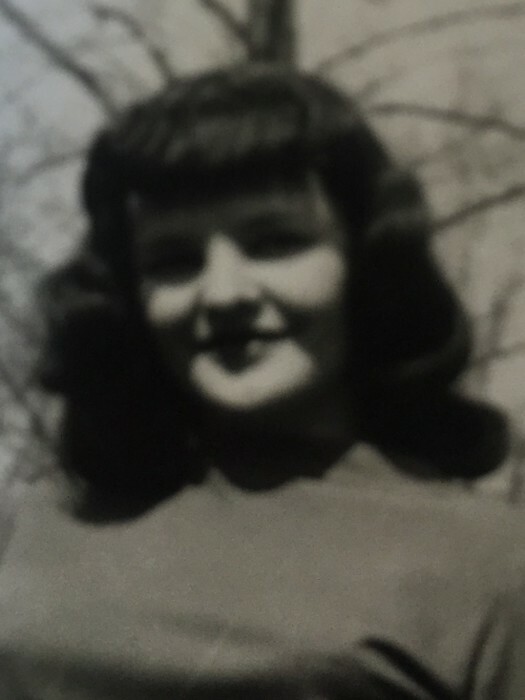 She was preceded in death by her parents, her husband, a grandson, Kenneth Long, and two brothers, Cecil Strunk and Bill Strunk. Funeral service will be held at West & Parrish & Pedigo Funeral Home in Spencer at 1:00 PM on Saturday, November 10, 2018, with Pastor Otis Lee Keene officiating. Burial will follow at Carolina Cemetery in Poland. Visitation will be held at the funeral home on Saturday from 11:00 AM until the time of service. Memorial contributions may be made to the Carolina Church in Poland through the funeral home. Condolences may be mailed to the funeral home or shared at www.westparrishpedigo.com.